What is the advantage of adopting CLM 4.0.7 over 4.0.6? What does the new CLM maintenance approach mean to me? What are the future considerations system administrators and process owners should have and what does IBM recommend? These are questions we’ve heard from customers since we announced CLM 4.0.7 and my first blog on the DevOps transformation for CLM maintenance. This blog will help explain why the new CLM maintenance approach is the right one for you! Historically, customers on CLM version 4.0.6 or earlier have adopted APAR fixes in one of two ways. One way is to install a temporary test fix (also known as a hot fix), which includes the risk of overwriting previous fixes as one or more files are directly replaced in the installation directory. A second way is to install a full maintenance release known as a fixPack, which requires full migration and can be expensive. Minimal in size. For example, the server patch from 4.0.7 iFix001 is only 3MB for 35 APAR fixes! Uninstall is as simple as install (again, follow instructions in readme.txt). Cumulative … which means you only need the most current iFix at any time, as it always includes all APAR fixes available since GA. 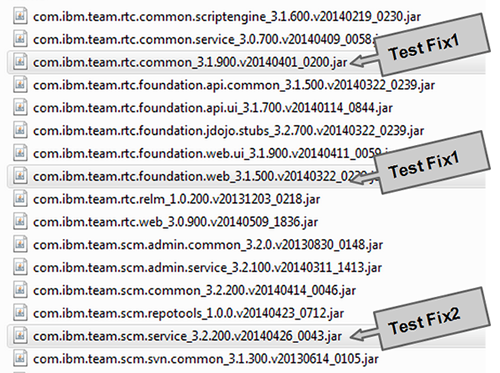 The following images illustrate differences in the deployments between a temporary test fix, fixPack and the new iFix. Temporary test fix – too many installation files are impacted. Full maintenance release – can be expensive to deploy. New iFix, starting with 4.0.7 and 5.0. One small patch file with all fixes for the entire server! Upgrade to 4.0.7 to take advantage of this new iFix if you need to stay on 4.x. Version 4.0.6 does not have the new iFix approach available. Adopt the latest CLM iFix available to get the best stability without picking up new functionality. Plan ahead for your next CLM upgrade. Take advantage of the upgrade path recommendation from iFix. The best mod release for you may be the next one coming up! Contact Rational support for the latest iFix available for your CLM version, or if you have any existing temporary test fixes on your system. In general, for new functionality and maintenance, stay current with the latest mod release. 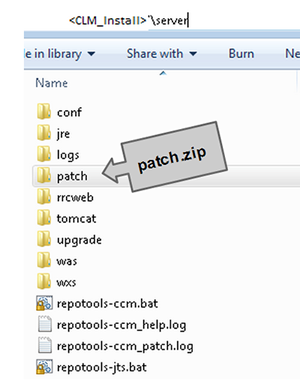 CLM 4.0.7 is the latest and the recommended release if you need to stay on 4.x. Finally, I hope you enjoyed this article, and we’d love to hear your experience as it relates to CLM maintenance.